In the early 70s there was the legendary Krautrock band Mythos, led by multi-instrumentalist Stephan Kaske. 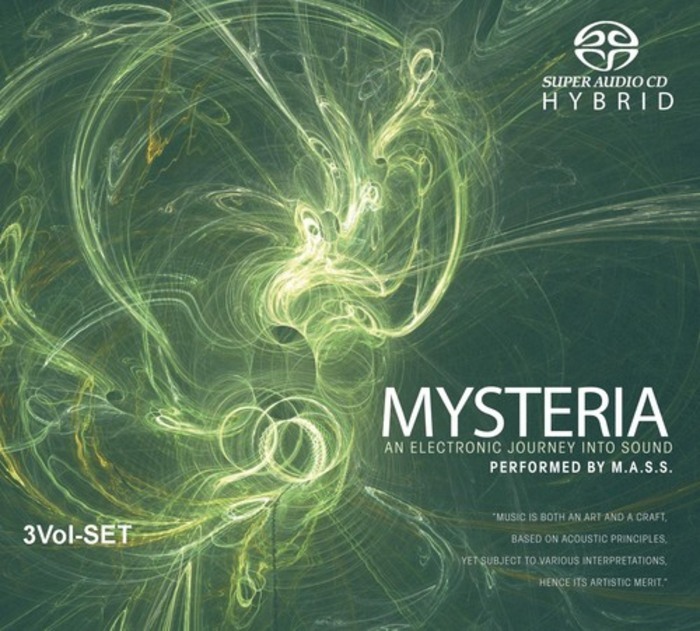 Over the decades Kaske remained active as a musician, ultimately becoming a solo electronic artist with a long string of releases recorded as either Mythos or M.A.S.S. Mysteria is his latest release and is a massive one at that. This triple CD release comes in a lavish digipack with a 28-page booklet summarizing Kaske's musical career and basically marketing his back catalog. I really tried to like this album, especially since I am a fan of his very early work. But there is far too much mundane and boring music on Mysteria to make me want to listen to it more than once. It isn't until I waded through the first two discs that I finally uncovered some music on Disc 3 worth listening to: "Mythomorphosis," "Fourthreetwoone," and "Kirikaeshi." These three songs have an edge and harken back to earlier times. Unfortunately the rest of the discs are simple repeated sequences that rarely vary with occasional sampled voices, but nothing to capture your attention. It is a shame as it is evident that Kaske devoted a lot of time and energy into this project, as well as encouraging you to listen to the CDs on an SACD-player to experience the full range of his electronic music. Kaske has received a lot of positive press for his other work, and that is probably where you should go rather than investigate Mysteria.